Happy Birthday, Cesar Chavez! 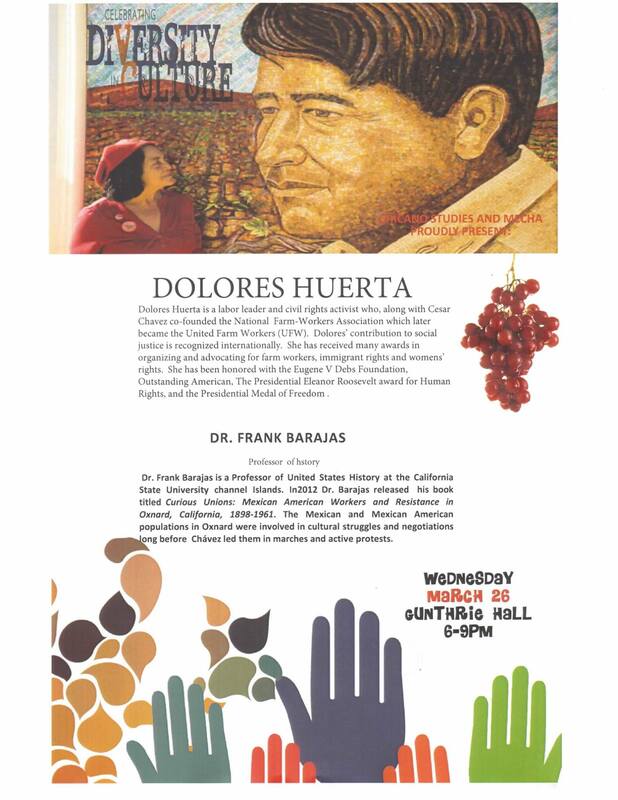 Check out this new film, day of service, and Dolores Huerta speaking at VC! Get ready to learn about Cesar Chavez through film and events! Be inspired to participate in service in his honor–if not on his birthday March 31, then how about for Earth Day April 22? First, on Weds. March 26 from 6-9pm in Ventura College’s Guthrie Hall (4667 Telegraph Road), Dolores Huerta will be on campus to celebrate diversity in culture. If my students attend and write about it, they can earn extra credit. Friday, March 28, 2014 a film directed by Diego Luna and starring Michael Peña as Cesar Chavez will be in the theaters (see trailer). The film also features America Ferrera, Rosario Dawson, John Malkovich, Gabriel Mann, and Mark Moses. It’s actually a cool campaign and worth checking out. Anything that brings poetry to the masses, especially poetry by Whitman, is good by me. singer/songwriters, poets, writers, a clothing swap, art activities, alternative transportation info, and more. Earth Day Network; the longer films are donated by Movie Town in midtown Ventura. The main stage in the quad will feature a 10-11am show by “America’s Teaching Zoo”, the Exotic Animal Training and Management Program at Moorpark College. The show will focus on endangered species and the impact of global warming. Many of the children from VC’s Child Development Center will be walking up to the quad for the family friendly show. Local organizations and student clubs will offer activities and information and the VC preschool coop will be squeezing fresh orange juice. Bagels have been donated by Noah’s and water donated by the Ventura Water store will be provided to anyone who brings their own container. In addition to encouraging students to take action about climate change, a goal is to register as many students to vote as possible. 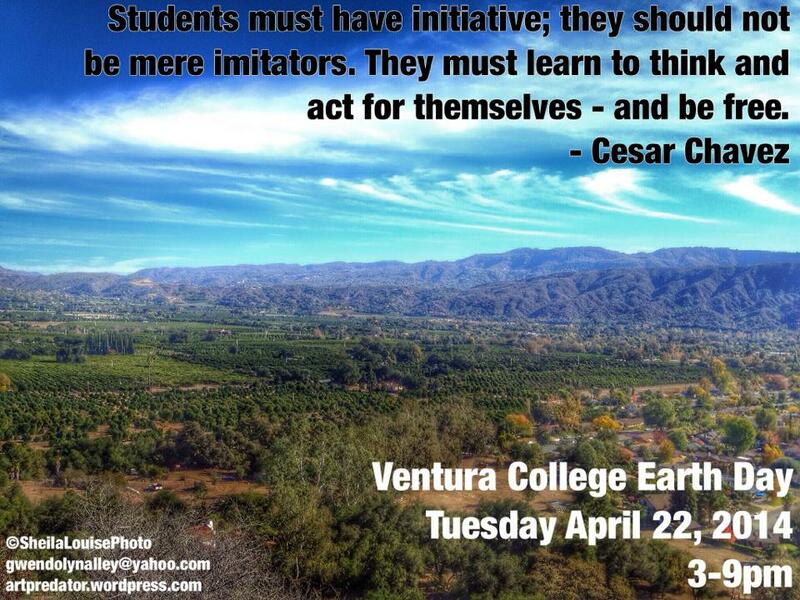 This event is supported by a grant from the Ventura College Foundation. Barton Springs eventually became “a drainage ditch instead of a stream,” according to one observer. The documentary looks at the environmental fallout from a housing development in Texas. BEFORE Hollywood went green, there was Robert Redford.Before Arianna Huffington could have imagined a Prius, before Laurie David recycled, when the words “Al Gore“and “Oscar” in the same sentence would have seemed . . . well, outlandish, there was Redford, who made a cause of the natural world back when environmentalism was still called “ecology,” decades before “green” was anything but a color.Now, as an executive producer of a new film, “The Unforeseen,” the leading man turned director turned Sundance Film Festival impresario has combined his longtime environmental advocacy with an ongoing passion: documentary cinema. The result is something that really is unforeseen: The film is a poetic tocsin about the dangers of urban sprawl. Directed by Laura Dunn and shot by cinematographer Lee Daniel (best known for his work with Richard Linklater), “The Unforeseen” is a kind of visual prose poem that involves a naive real estate developer and a legendary Texas Hill Country swimming hole that figured in Redford’s real-life youth. It’s a look, Redford said in an interview this week, at how manifest destiny has pushed the country beyond the pioneering spirit and into unbridled development, with serious consequences. At a time when many documentarians are taking on serious subjects abroad, such as the war in Iraq, Redford believes that “The Unforeseen” serves as a reminder that preventing global disasters often starts with attending to business in your own backyard. “We are faced with the reality that our resources are shrinking,” said Redford, who co-produced the film with Oscar-nominated writer-director Terrence Malick. “The Unforeseen,” which opens today in Los Angeles and also will air on Redford’s Sundance Channel in August, centers on the long-running environmental fight to save Barton Springs, in rapidly expanding Austin, Texas, from becoming yet another urban casualty. You can get something of the flavor of the film from the poem “Santa Clara Valley,” which Dunn runs throughout the movie like a narrative conscience. The poet is Wendell Berry, a Kentucky farmer who was writing about these issues before there was an Earth Day. He reads in voice-over: “I walked the deserted prospect of the modern mind where nothing lived or happened that had not been foreseen. 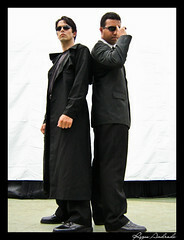 “What had been foreseen was the coming of the Stranger with Money. Dunn’s use of the poem has been a controversial one, however. Since the film premiered at various film festivals last year, some critics have complained that it’s too flowery and sentimental. Both Dunn and Redford defend the technique: You can’t solve the problem unless people are moved and inspired. In a way, it’s what Redford envisions as the key component in future documentaries. “Once you start to introduce emotion into it and the beauty of art, then it starts to move into a new territory,” Redford said. This unity of art and information, he believes, can help create larger audiences for documentaries at a time when younger viewers in particular are open to information from new and unfamiliar sources. Redford is so committed to the idea that he’s now backing two Sundance Cinema Theaters, one in San Francisco and another in Wisconsin, to give documentaries equal play with other features. It would be the most unforeseen thing of all if the fight to save a Texas swimming hole helped remind activist Hollywood that its voice is strongest when it speaks the language of film. we should get this film to show at VC during Earth week in April!